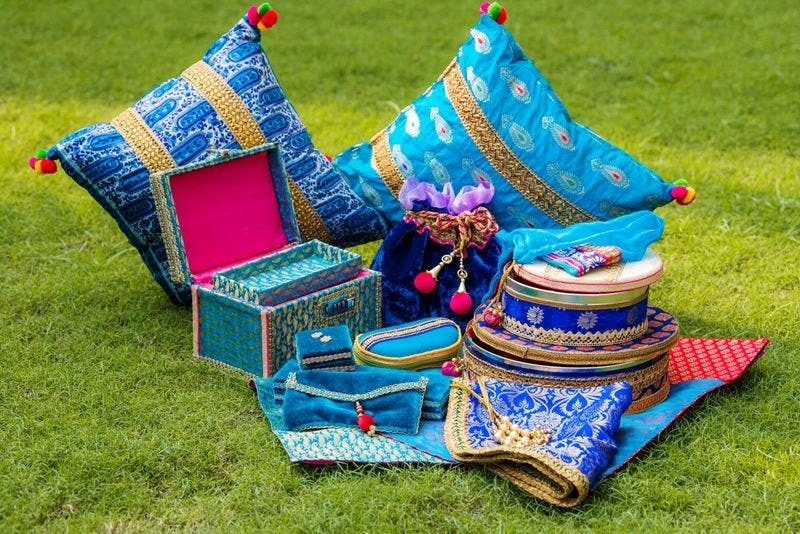 Pataaree is a Chandigarh-based creative trousseau packing venture. They aim to create magnificent and unique designs for your trousseau. Be it ring platters, hamper packings or beautiful wedding packaging, they have everything. Customising the needs and requirements of their customers, they decorate the wedding gifts with stunning pieces of fabrics, customised stationery, wedding baskets, and much more. Be it your mehendi or the wedding, they gift pack the items in the most beautiful way with utmost precision, and that too at affordable prices. Their range includes bridal trunks, bridal bags, platters, room hampers, giveaways, saree bags, wardrobe hangers, and whatnot for your bridal fantasy to come true. Services offered: They have baskets for hampers, sagan envelopes, saree bags, boxes, fancy hampers, milni and jaimalas, trousseau trunks, decorative thali, mehendi favours and decor, and more. Price could be a bit cheaper.